There is no easy or enjoyable way to lose weight right? This is all we have heard and even experienced. But can you imagine a perfect way of losing weight? Where you can eat delicious food and lose weight at the same time. 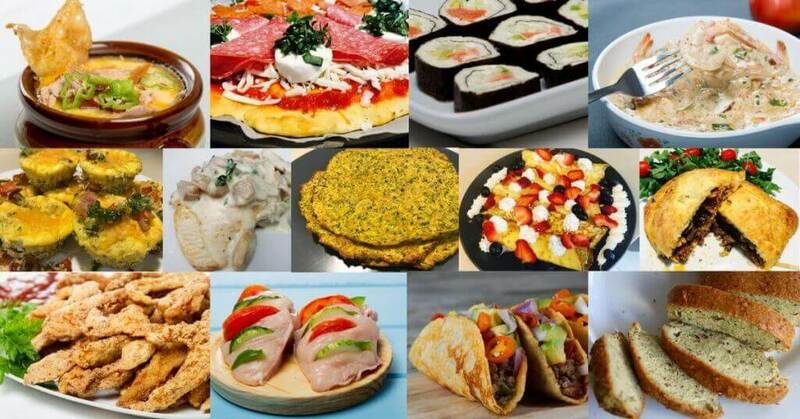 Let me give you this good news, that you can use keto diet recipes for weight loss with the most fantastic diet where you can eat mouthwatering food. Most of you would know that already but some of you would probably think that I’m insane. Well, I won’t blame you fellas, apart from this diet, anyone can only imagine having a diet full of fun and appetizing treats. It’s not a dream, there really is a diet where you can eat all the cheese, eggs and bacon you want. It’s called the ketogenic diet., it is a very low-carb, high fat diet. It involves drastically reducing carbohydrate intake and replacing it with fat. This reduction in carbs puts your body into a metabolic state called ketosis. If you have never tried a keto dish before, then get up and start making one! 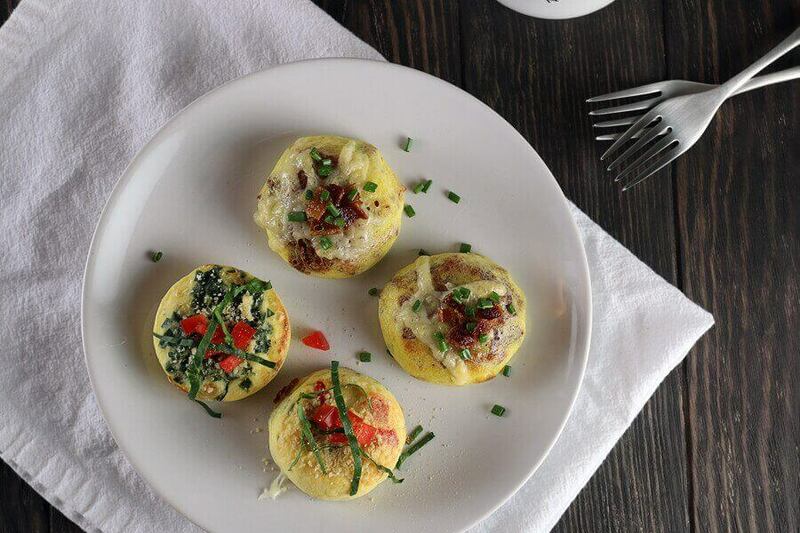 These easy keto diet recipes for breakfast would definitely impress your taste buds and your health. Baked chicken can be so boring, but two simple ingredients take it to the next level: lemon and thyme. Preheat the oven to 400°F. Season both sides of the chicken with salt and pepper. 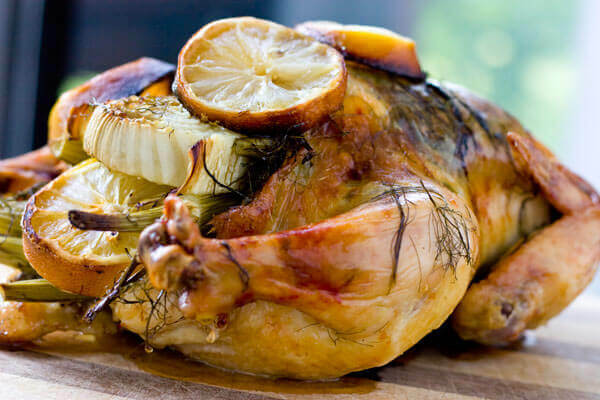 Drizzle an oven-safe dish with 1 tablespoon olive oil, and place the chicken in the dish. Drizzle another tablespoon of olive oil on top, squeeze lemon juice all over, and sprinkle with the leaves of a few sprigs of thyme. Bake for 30 minutes, or until the internal temperature reaches 165°F. Pour the pan juices over the chicken and let rest for 10 minutes before serving and garnish with leaves of fresh thyme. It’s not too hard to find low-carb dishes, but being able to pack some fat into them is another story. 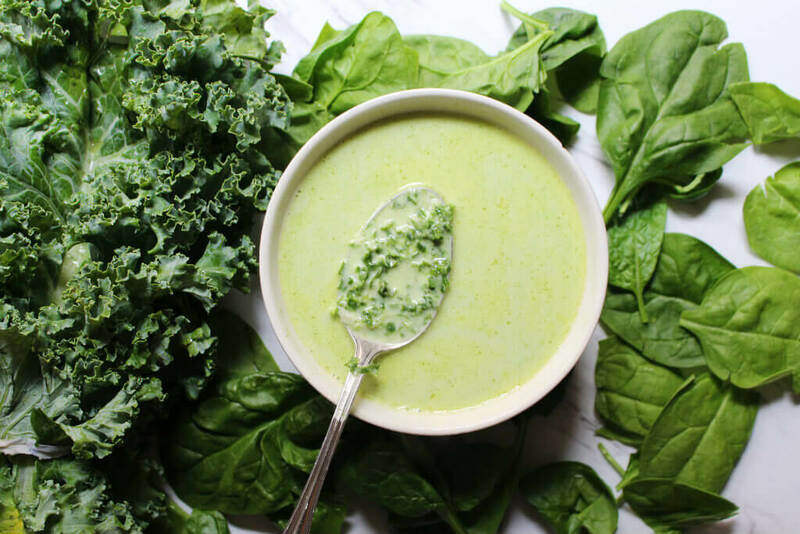 With this low-carb, cheesy garlic creamed spinach recipe, made out of spinach, garlic, butter, heavy cream and three types of cheeses, you won’t have to worry about that any longer! Add the spinach. Season with sea salt and black pepper to taste. Sauté until the spinach is wilted. Remove the spinach from the pan and let it drain. You may need to press it in a colander to remove all of the excess moisture. To the same pan, add the heavy cream, Parmesan, mozzarella and goat cheeses. Lower the heat to low and allow the sauce to thicken, 5 to 10 minutes. Add the wilted spinach back to the pan and toss until evenly coated in the creamy cheese sauce. I think we all agree on one thing: the best food is the breakfast food which includes pancakes, waffles, and bagels. Unfortunately for keto dieters, that stuff is just not allowed. But don’t get too upset; even if you are all about that low-carb, high-fat lifestyle, there are still tons of healthy and delicious keto diet recipes that fit the bill. Paired with some sunny side up eggs and avocado, you get a big dose of fat and protein with a whopping 500 calories of low carb, delicious goodness. I could start any day like this! The best steak cuts for breakfast are flank, skirt, and sirloin. These are tougher cuts that are great when sliced thin so they’re ideal for breakfast cooking. It’s convenient and super quick if you need a high-calorie breakfast. Melt your butter in a pan and fry 2-3 eggs until the whites are set and yolk is to the desired doneness. Season with salt and pepper. In another pan, cook your sirloin (or favorite cut of steak) until the desired doneness. Then slice into bite-sized strips and season with salt and pepper. In just 30 minutes you can enjoy this recipe in the comfort of your home. Egg, cheese, and bacon are the main ingredients of this dish, but it’s the add-ins of cream cheese, garlic powder, and a bit of paprika that really makes the flavor pop. If you are tired of your same old boring breakfast, then give this recipe a shot. The creamy cheese coupled with the rich, decadent cheese really brings the right amount of flavor. And everything in life is better with bacon! 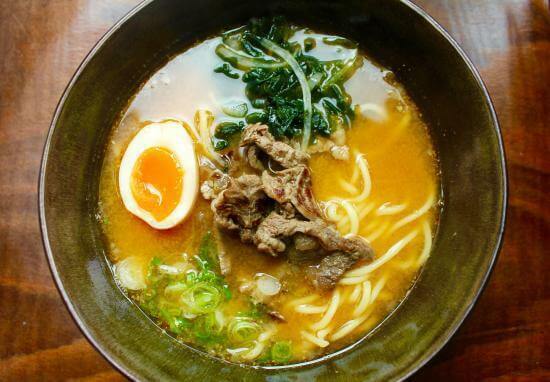 It is fast, simple and downright delicious. Combine the eggs, heavy cream, cream cheese, garlic powder, paprika, salt, and pepper in a blender. Blend on medium speed until smooth and combined. Lightly grease 6 egg poaching cups with cooking spray and divide half the bacon and shredded cheese among the cups. Divide half the egg mixture among the cups and place them in a large saucepan full of boiling water. Reduce the heat to a low boil then cover the saucepan. Cook the egg bites for 8 to 10 minutes until cooked to the desired level. Remove the egg poaching cups and spoon the eggs into a serving dish and keep warm. Bring the saucepan of water to boil once more and repeat Steps 3 through 6 to cook the remaining ingredients. Serve the egg bites hot with your choice of condiments. This recipe just goes to show how versatile coconuts can be. They’re broken up into so many forms found on supermarket shelves, whether it’s coconut water, milk, flour, oil or flakes for sprinkling into your morning porridge (which is exactly what I did!). This coconut flour porridge is a perfect option for a low carb keto diet. Set a cup of almond milk to heat up on a low flame. Add in flaxseed, coconut flour, cinnamon, and salt. Use a whisk to break up any clumps. Heat until slightly bubbling. Add in liquid stevia and vanilla extract. When the mixture is as thick as you want it to be, turn off the flame and add in your toppings. We like to add cold butter, fresh or frozen blueberries, pumpkin seeds and shaved coconut! Find a Keto dinner to try in the kitchen tonight from here. These inventive keto dinner recipes are sure to have everyone singing your praises when the family sits down to the dinner table tonight! Potatoes and gravy are total comfort food and luckily, there’s a keto version. These are made with cauliflower, which is quite low-carb, particularly when compared to potatoes. Made with cream, butter, rosemary and parmesan, this mash is creamy, full of flavor and smooth. You’ll finish it all off with a stock-based gravy, that would be perfect on a roast, too. Bring a pot of water to a boil (enough to cover all the cauliflower), add the cauliflower and boil for 15 minutes or until tender. Add melted butter, garlic, and rosemary to a processor and pulse several times until well combined. Add cream, parmesan, salt, and pepper to processor and process until smooth and creamy. This is the ultimate keto white pizza. 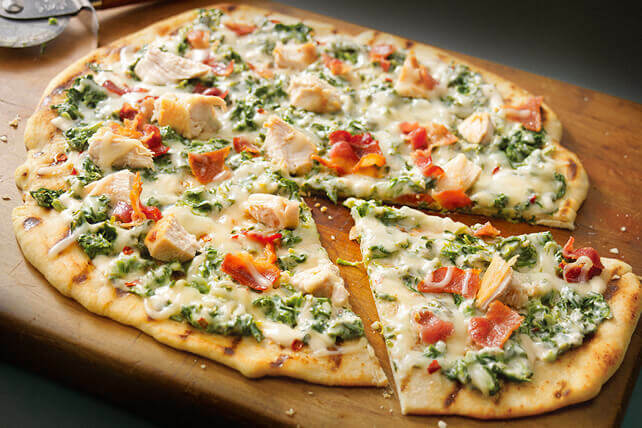 It’s got a crisp crust, white sauce, juicy chicken and fresh spinach. If you’re following a keto diet, this pizza is a must-have for weekend nights. Sauté the chicken in a skillet over medium heat until done. Remove, set aside. Add garlic plus the xanthan gum with half & half to the skillet and bring to a boil. Reduce to simmer when sauce starts to thicken. This keto Reuben skillet will leave you craving that corned beef and sauerkraut combination year-round, which isn’t such a bad thing when you’re getting all of the healthy probiotics from sauerkraut. Heat up butter in a skillet over medium-low heat. Add corned beef and fry carefully. Drain the sauerkraut and squeeze as much liquid as possible out of it. Distribute evenly in the pan. Place small dollops of mustard here and there in the sauerkraut. Add sliced Swiss cheese and heat until the cheese is melting. Cover the skillet with a lid to speed things up if you’re in a hurry. Serve with mayonnaise, dill pickles and perhaps some more mustard. It’s not too good to be true, ground beef is also keto approved! Prepare the ground beef and set aside. In the same pan, sauté the onion, garlic, ginger, vegetable and sesame oil. Sauté over medium for several minutes. Rinse noodles with cold water for 20 seconds and drain in a colander. Bring a pot of water to a boil. Once boiling, add the noodles and cook for 1 minute. Drain and pat dry with a paper towel. Add the noodles to the warm broth mixture. Add in the ground beef, raising the temperature until everything is warmed through. Garnish with chopped green onions and red pepper flakes. A one-skillet wonder: real food, affordable ingredients, simple prep, tasty dinner, and easy cleanup. This keto ground beef recipe will leave you with a healthy full tummy. Season the broccoli. Top with the remaining butter and serve while still hot. It’s also delicious to serve with an extra dollop of crème Fraiche or mayonnaise. Just because you don’t eat meat doesn’t mean you can’t be successful on a ketogenic diet. Like I said before, there are recipes for everyone! Kale and spinach are wonder-vegetables. They are both high in protein and dense in many nutrients your body needs, making it perfect for a keto recipe for vegetarians. Add water, coconut milk, avocado, and spices. Blend with a hand blender until creamy. Keto side dishes are important diet balancing tools, especially in the ketogenic diet where your main dish may consist mostly of roasted, baked, or pan-seared meat or fish for your fat macros. Your side dish can be your power source of protein and essential micronutrients. This soup is certainly a bit different and has a unique flavor. It is also very healthy, with spinach being a powerhouse of essential nutrients such as iron, potassium, and magnesium. Combine all the ingredients together in a pan except for the butter, cream cheese, and heavy cream and bring to the boil. Turn the heat down to a simmer and put the lid on. After about five minutes, remove from heat, and puree in a food processor or a blender. Add the pureed mixture back into the pan. Next, add the butter, cream cheese, and heavy cream and allow it to melt in. Cook for 5 minutes on a medium heat until the soup is hot and consistent. 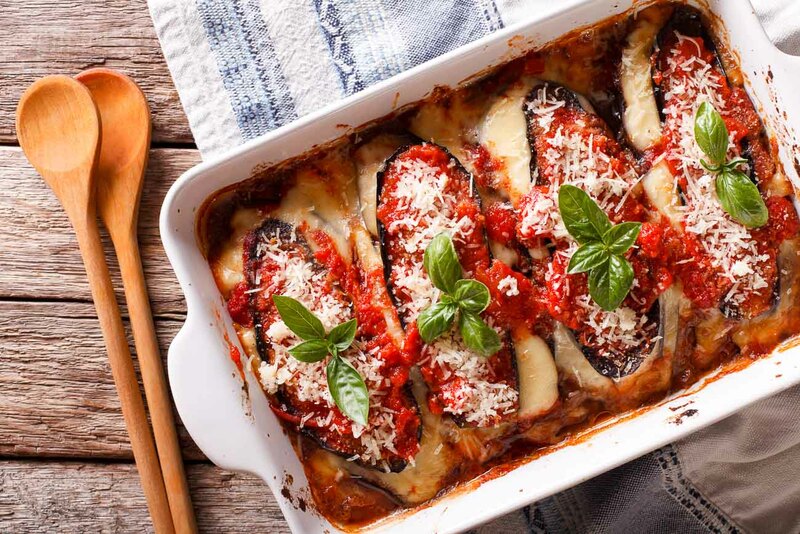 If you haven’t tried baked eggplant before, then it’s well worth a try. First of all, the taste is indescribably better than boiling the vegetable. Second, it does a great job of absorbing and carrying flavors. And that’s what happens in this recipe; the combination of eggplant, tomato, herbs, and parmesan create a delicious depth of flavor. These make for a great keto-friendly snack too. Cut the eggplants into one-centimeter thick slices. In a bowl, mix the tomato paste, Italian Herbs, and salt. Place the eggplant slices on a baking tray, lightly brush with olive oil, and then put a little of the tomato paste mixture on top. Cover each piece with some grated parmesan cheese. Put the slices into an oven and cook at 200°C for approximately 15 minutes. This keto diet recipe is pretty straightforward and just involves selecting your favorite keto veggies and grilling them. In my opinion, some of the best veg options for this include peppers, eggplant, and mushrooms. These low carb grilled vegetables are delicious, colorful, and healthy. Cut the vegetables into bite-sized pieces and place in a baking dish. Evenly top the vegetables with butter. Sprinkle the salt evenly over the surface of the vegetables. Cook at 200°C for approximately 15-20 minutes. 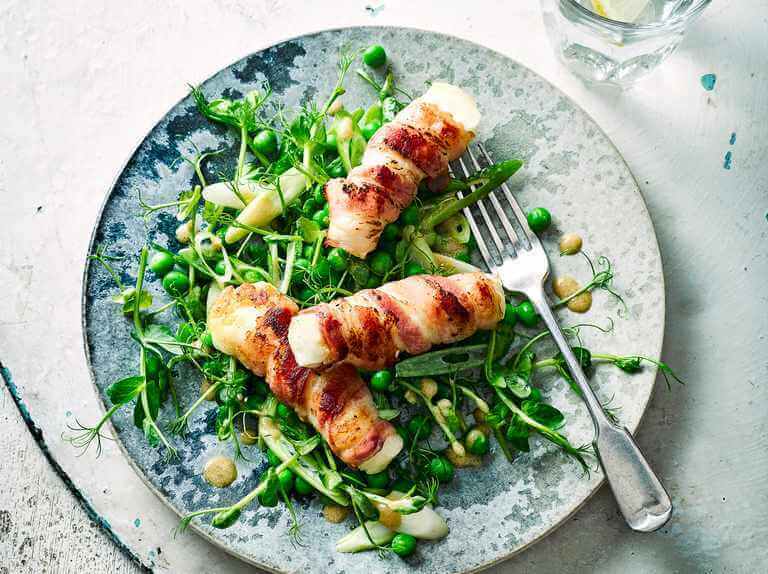 Say “Be Mine” with flair with bacon wrapped cheese, scallops with herb butter, and a perfect finish with pink berry mousse. (All this, for only 12 grams of carbs). Ketogenic has never seemed so romantic, a perfect keto date night dinner plan. Place on a baking sheet and bake in the oven until golden brown for 10–15 minutes, flipping halfway through. Stir together the herb butter in a small bowl. Set aside. Brown the scallops for no more than 30 seconds on each side, in a hot pan, so that they are nicely browned. Place the scallops in four serving bowls or shells. Place a generous amount of herb butter on top. Bake in the oven, using the broil function for a few minutes at 450°F (225°C) or until the butter starts to bubble. Cover with plastic wrap and let sit in the refrigerator for 3 or more hours for a firm mousse. You can also enjoy the dessert immediately if you don’t mind a less firm consistency. Here’s a bunch of healthy, keto-friendly recipes for summer. This garlicky roasted, chili lime asparagus is simple and fresh. And comes together with minimal ingredients, time and energy. Chances are you can make this with the pantry staples you have on hand. Rinse the asparagus, pat dry and trim the ends. In a small bowl whisk together the olive oil, chili powder, garlic powder, salt and lime juice. Spread the asparagus on a baking sheet and drizzle on chili sauce. Toss the asparagus lightly and organize the spears to lay them flat. Roast for 10 minutes and serve them hot. A delicious, refreshing salad you can serve as a great side for your grilling cookouts or on its own for a light dinner. This is one of the healthy and tasty keto diet recipe for summer. 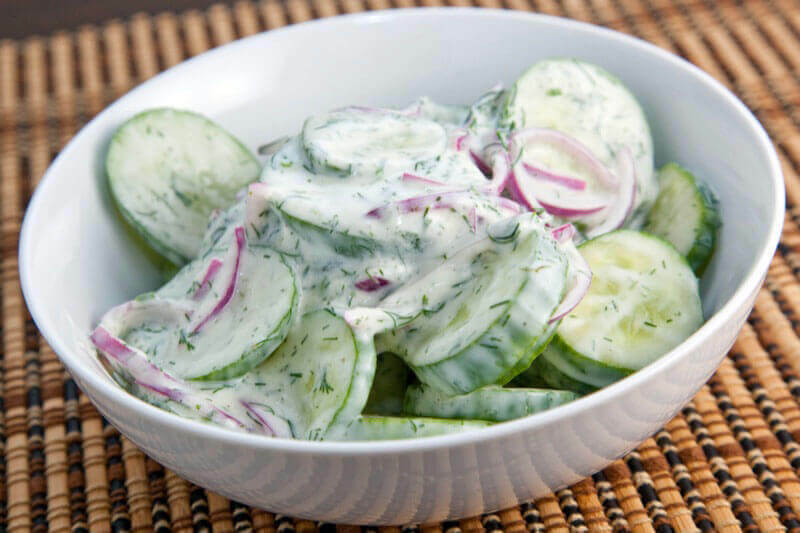 Combine cucumber and red onion in a medium bowl. In a small bowl, combine 1/2 cup sour cream, 2 tablespoons of mayonnaise (if using), chopped chives and pepper. Mix well to combine. Stir the dressing into the cucumber and red onion. Add salt to taste just before serving. Enjoy! This keto cobbler is super easy to make and packed full of juicy, sweet strawberries and blueberries, topped with a crunchy cake-like gluten-free topping. In a cast iron skillet, toss together strawberries and blueberries, 1 tablespoon sweetener, and a pinch of salt. In a large bowl, combine beaten egg, softened butter, 1 tablespoon sweetener, and vanilla extract. Add in almond flour and coconut flour, mixing well to combine and form a dough. Spread the topping evenly on top of the berry mixture with your hand and press it down lightly. Bake for 20 – 25 minutes, until the edges are bubbling and the top of the crust is golden brown. Serve warm with whipped cream, enjoy!